To keep ankles and lower legs dry and comfortable without having to wear welly boots, gaiters are the answer. 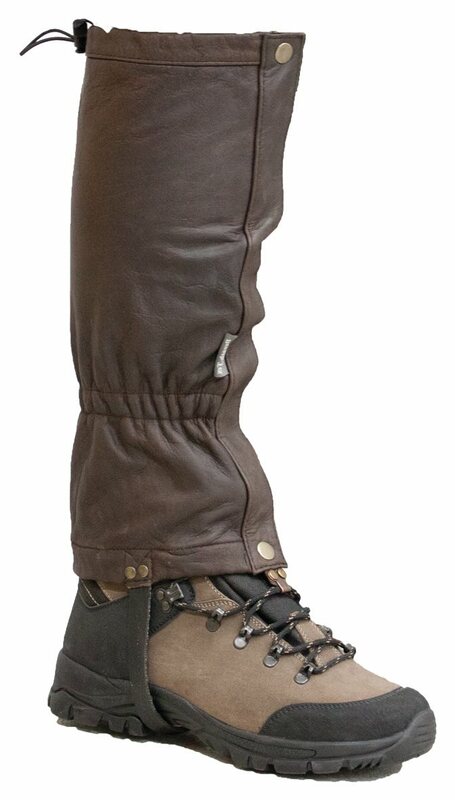 These brown leather gaiters are waterproof, featuring velcro and popper stud fastening with lace hook at the bottom and drawstring at the top. The rubber strap for under the sole of your footwear is thick, strong and durable with grip pattern to help hold the gaiters in place.